For your stay at Swafield Hall you can choose between two self-catering apartments: East Wing or South Wing, each with dedicated kitchen, bathroom and bedroom. For larger parties these can be rented together along with Nelson’s suite, Blue Suite or the Green Suite providing accommodation for up to 13 guests. “The large South Wing apartment sleeps 4 (or 5) and contains an impressive spacious lounge with kingsize bed and 42″ flat screen TV, sitting area, antique fireplace, antique flemish style chandeliers, exposed original oak beams & LED backlight, authentic windows with the original shutters and stunning views, fully equipped kitchen with dishwasher, bathroom and a separate twin bedroom. The East Wing apartment sleeps 2. 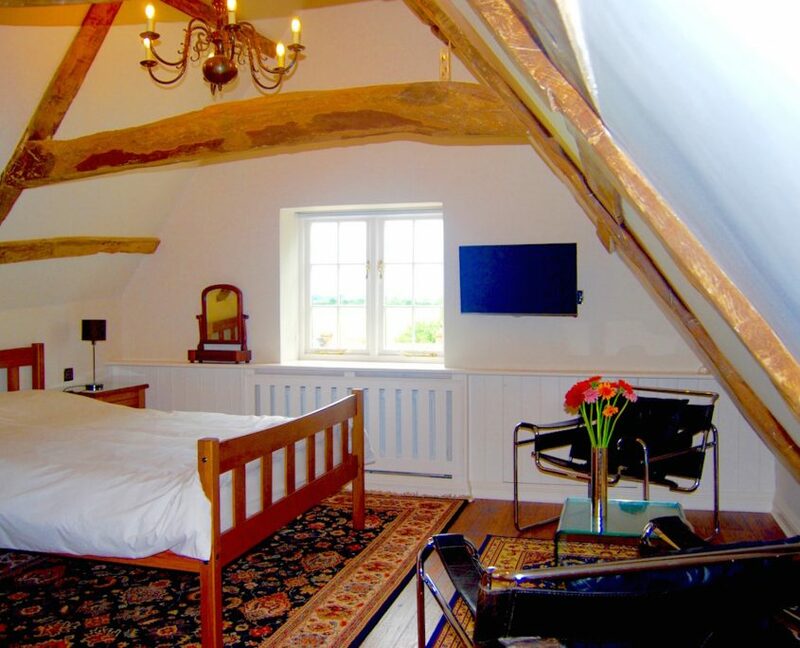 It is situated in 16th century part of the house and contains a bedroom with kingsize bed, original exposed oak beams, antique chandelier, seat area and flat screen TV. There is a luxurious bathroom in victorian style with a free standing bath near the window, antique chandelier and antique rocking chair and a dedicated kitchen. 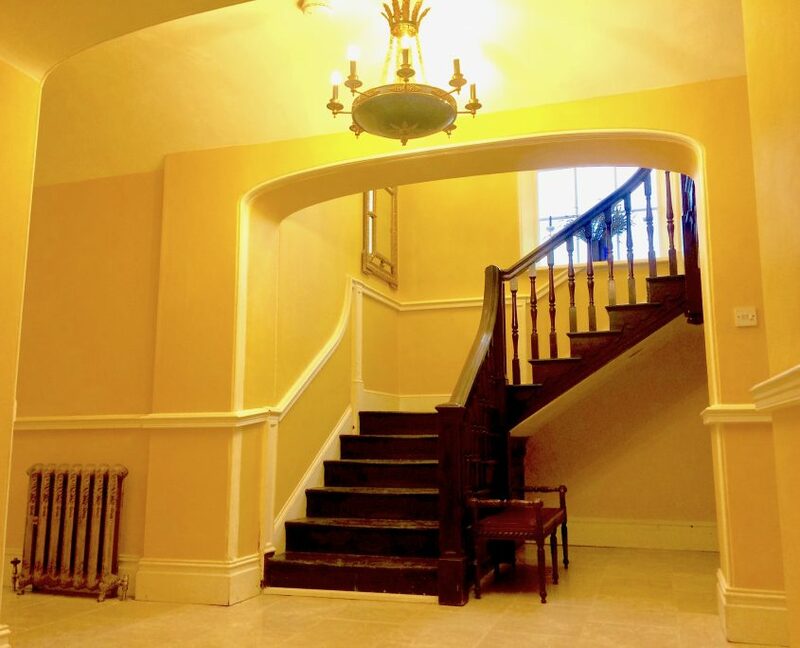 To access your apartment you pass through the historical interiors of Swafield Hall including the impressive 17 metre long vaulted Ground Floor Hallway, with marble flooring and Georgian yellow walls, containing antique furniture and chandeliers. The apartments are reached via the 18th century main staircase, the first floor hallway and the second staircase. 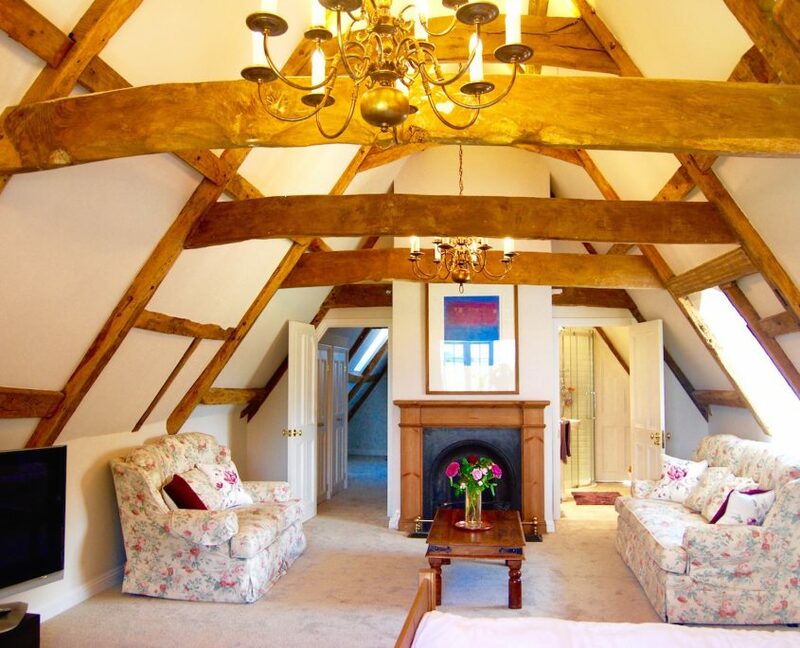 The secluded top floor location allows you to enjoy stunning views from all your windows. 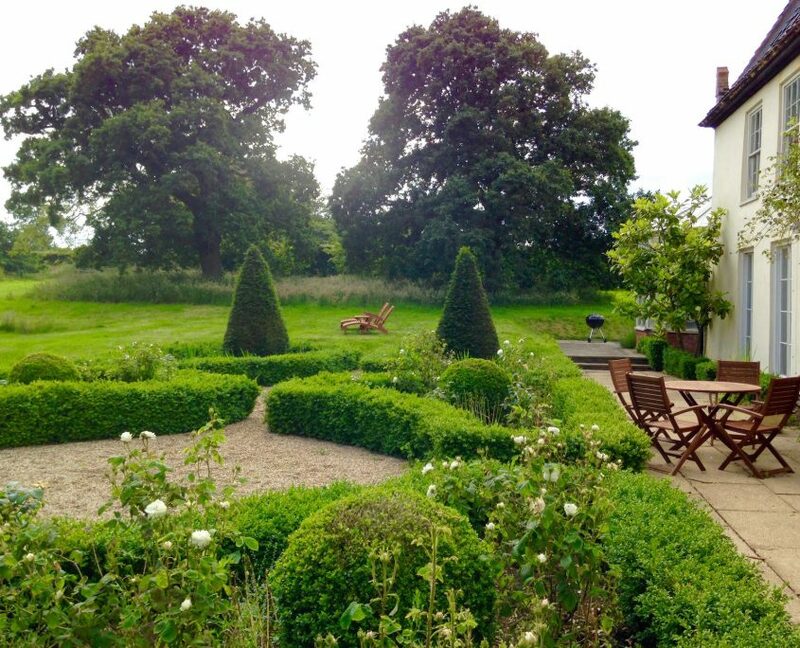 Guests can enjoy the use of our extensive formal gardens including parterre, orchard, autumn garden, summer garden, secret garden, duck pond, croquet lawn and tennis court. The gardens are beautiful in every season and you can see recent photos here . The house has ample parking in the Tudor courtyard. Guests’ bicycles can be securely stored overnight or bicycles can be rented locally.